With total votes of 134-57, the members of the House of Representatives uphold the divorce bill yesterday on its 3rd and final reading. 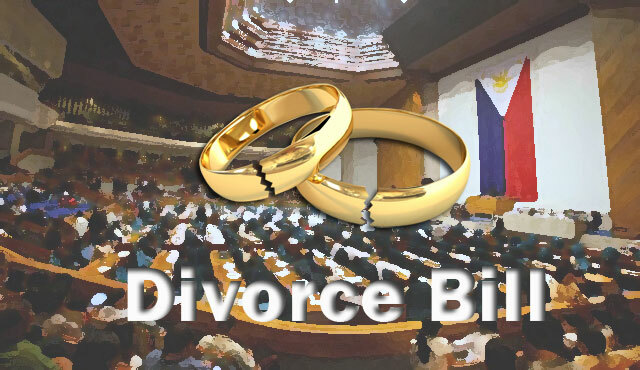 On the other hand, 2 lawmakers restrained from voting for the approval of House Bill 7303 or An Act Instituting Absolute Divorce and Dissolution of Marriage in the Philippines and this is the 1st time that a legislation for divorce got a progress on the third reading. The main authors of the bill are Rep. Edcel Lagman, Emmi De Jesus and Deputy Speaker Pia Cayetano. Among the lawmakers who were against the decision are Rep. Gary Alejano, Rep. Raul Del Mar, Rep. Ruffy Biazon, Rep. Edgar Erice and Rep. Gabriel Bordado Jr. If the bill has a support from the lower house of the Congress, the Senate is yet to authorize the proposal as the leaders earlier expressed their disapproval for this measure but Sen. Koko Pimentel III is open in legalizing divorce in the country. In order for this measure to pass, both chambers must have similar proposals. If ever this law will implement, it will give opportunity for those who are in failed marriages to have a better alternative in annulment. With the news on the approval of The House on divorce bill, Palace Spokesperson Harry Roque revealed that the President is against the legalization of divorce in the country as it will be a disadvantage for children and the abandoned spouses will lose their right to file a case against their former partner after the divorce. Deputy Minority Leader Lito Atienza appreciate Duterte’s stand against the said measure and he believes that with the president’s position against divorce, it will be consign at the archives. During his campaign in 2016 presidential election, Duterte who got annulled in his 1st marriage in 2000 said that he will not support divorce for the well-being of children.